According to a report by Rap Radar, Connor announced his signing to the Aftermath label in his recent BET cypher. As reported by HipHopDX yesterday (September 28), Flint, Michigan native emcee Jon Connor participated in BET’s annual Hip Hop Awards cypher alongside Wax, Rapsody, Emis Killa and Rittz at a taping that took place in Atlanta. Connor was grouped in the first of eight cyphers scheduled to air on BET on October 15 at 8 pm EST. Other cypher participants included Kendrick Lamar, A$AP Rocky, Action Bronson and Kevin Hart amongst others. According to a Tweet and consequent report by Rap Radar, Connor announced his being signed to Aftermath by Dr. Dre during the filming of the segment as a part of his cypher verse. The news was also confirmed by blogger Karen Civil who was also in attendance. Jon Connor basically announced signing to Dr. Dre’s Aftermath in his cypha. Connor has released a slew of mixtapes and music that included 2011’s Salvation and culminated in his retail debut this past July with Unconscious State. Unconscious State charted at number 35 on Billboard’s Top 200 the second week after its release. From a workshop I did earlier this year. G.O.O.D. 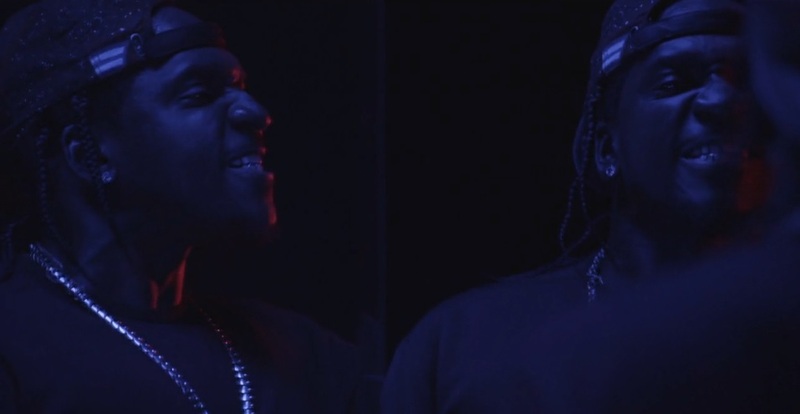 Music’s Pusha T delivers his latest visual and new single with “King Push” which will be featured on the rapper’s forthcoming My Name Is My Name LP set to drop on October 8. Over hard-hitting drums and a haunting vocal sample, the Virginia native proclaims himself “King Push” and kicks his signature coke rhymes fans have come to love. In the spirit of keeping things simple, Pusha continues his minimal approach as the music video sports the Clipse member performing to the camera against a plain black and white backdrop..
Rocksmith presents another dope video off Dizzy Wright’s, The Golden Age.